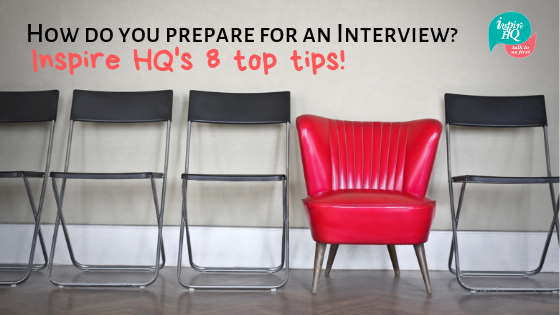 We all know we should put some time into preparing for interviews but why is it so important? Does it really make a difference to how the interview goes? Will it change how comfortable you feel in an interview? Can effective preparation help with the information you provide at an interview? In my experience the answer to these questions is YES. I regularly interview people and you can always see immediately the people who have put the effort into preparing for their interview. Not only does preparation and research assist you coming into a situation where you might be nervous, but it shows me that you are interested, enthusiastic and motivated for the position that you are applying for. When it comes to interview preparation, where do you start? One of the starting points when I am working with people completing interview coaching, is to really understand the purpose of an interview. Interviews are not designed to “grill” people; this doesn’t get the best outcome. The purpose of the interview is to find out more about you. Can you do the job? Do you have the skills and experience, the attitude and values that the business is looking for? Do you have what it takes to be successful in the role? Interviews are a two-way street. Interviews are also your opportunity to find out more about the position, the company and whether the environment will be a good fit for you. Ensure you have all the correct details for the interview. This includes the basics like the date, time and location. It is also really beneficial to know who and how many people will be conducting the interview. If you are not provided with this information you can ask these questions to ensure you have as much information as possible to help you prepare. Asking family and friends if they know anything about the business or know anyone who works there that you can talk to. This provides you with opportunity to gain firsthand knowledge about the business. Re-read your Cover Letter, Resume and Key Selection Criteria plus the job advert and position description. The job advert and position description (PD) tell you what the business is looking for. Take the time to read them in detail so you have a really good understanding about the position, highlight the key skills or attributes detailed in the advert and PD so you can address these areas with examples of your experience. Having a small folder or compendium to take to the interview with the job advert and PD inside will help jog your memory if you are someone that loses their train of thought when the pressure is on. Think of examples of situations that demonstrate your skills and experience from previous positions. These examples should relate to the skills and attributes that you have identified in the job advert and PD. The examples that you share will give you the opportunity to showcase yourself during the interview process. Use the STAR Method when providing examples, ensuring you talk about the Situation, Task, Action and Result of each example. Prepare your response to standard interview questions such as strengths, weaknesses, why you are the right person for the role, where do you want to be in 5 years time, style of management that you like or what motivates you. When you are nervous in an interview it is often difficult to think of answers off the top of your head. Preparation is key to be able to answer questions confidently. Role Play! You wouldn’t go and play in a sporting grandfinal or perform in a concert without practicing so you should never attend an interview without rehearsing. Role Play example interview questions and talk out loud about the situations where you have excelled and practice your responses to the standard interview questions. The key to role playing is to make it as real as possible, so role playing with a family member or friend, career coach or mentor is the best preparation. It makes a huge difference when you say something out loud rather than just running it through your head. If you don’t have anyone to practice with, practice responding out loud in front of the mirror. What does a typical day (or week) look like in this position? How do you measure success in this role? What are the biggest challenges of this role? Why do other employees like working for this company? Write the questions down and take them with you so you don’t forget what you want to ask. You never get a second chance at making a first impression! The interviewers will form an opinion of you based on your first impression. Planning what you will wear, along with the time it will take you to get ready and get to the interview location is important. You want to arrive at your interview with time to spare to ensure you have a few minutes to calm yourself and catch your breath rather than being rushed or flustered and running late. Taking the time to prepare before an interview will help you feel better prepared, more organised and much more confident when you take your seat at the interview table. It takes effort but being prepared will ensure that you can be the best version of you to help you stand out from the crowd. Jo has over 20 years experience as a recruiter and has a passion for helping her clients recruit and engage the talent they require to meet their workforce goals and objectives. Her enthusiasm, structured approach and eye for detail have held her in high regard and ensured she has successfully delivered and supported businesses with their recruitment and human resource needs. Jo has delivered career coaching, career transition and outplacement programs to employees across Ballarat and has successfully coached, mentored and supported them in to new employment opportunities. Taking great satisfaction from supporting people through these challenge periods of their careers, Jo has a natural ability to identify skills and expertise in people and align those skills with potential employers. Find more useful information and advice at www.inspirehq.com.au or by following Jo on LinkedIn.